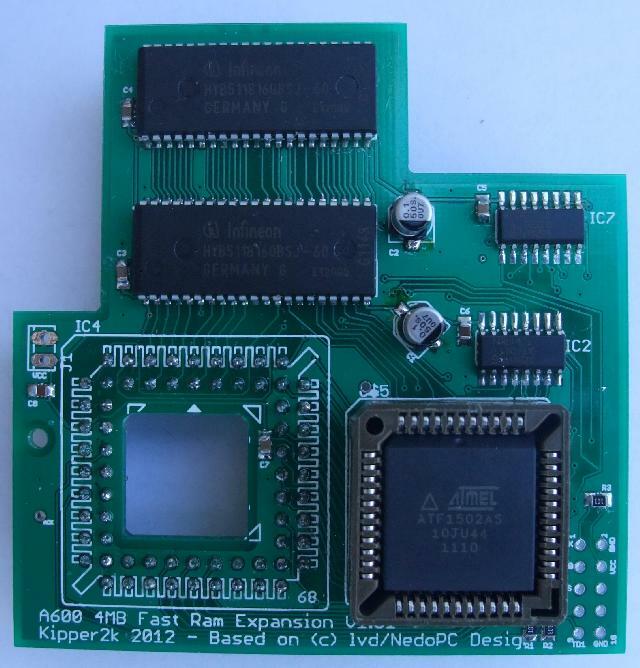 4MB Memory expansion board for your Amiga 600. The board simply presses down over the CPU on the A600 motherboard. The memory will autoconfigure when the Amiga is turned on. The A604 board can also be secured by the use of 2 wires that would be soldered between the fastmem board and the motherboard.